Wow, THREE YEARS traveling! I never even thought I would be able to do this, but with a lot of work and determination, and thanks to you, it’s been an unimaginable dream turned into reality! Now, I want to dig in a little deeper into how I managed to travel for three years and how much it cost me. How can you afford to travel the world?! That’s the common question I get often here on the blog, on Facebook, and on the road. I wrote very briefly about it in my first year of travel cost breakdown post, and later on this post too, but I feel like I still need to dig in deeper on the details of how I do it. I’m planning on publishing a post about that soon. Keep an eye on it. Round the world travel is cheaper than you think! 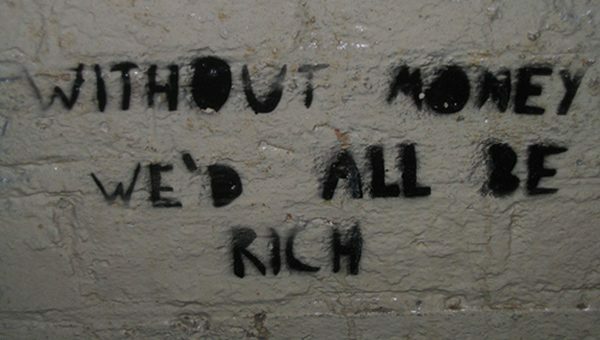 I’m not rich, I don’t live off a trust fund, and I don’t have millions in my accounts. I simply budget consciously according to the destinations I visit and try to find the cheapest way possible to travel them. I sustain myself through this website, other websites, and freelance work. 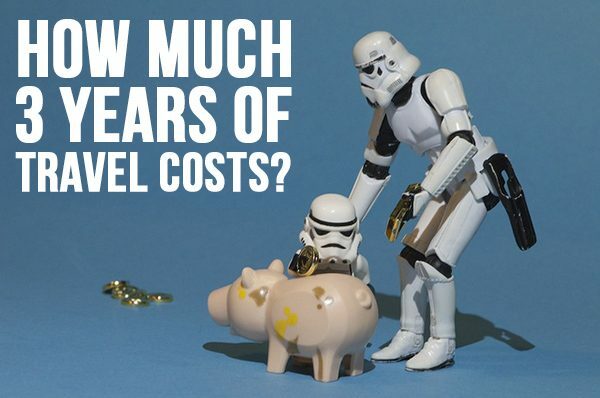 Now, how much can a three-year-long trip cost? That fortune might not come in capital, but it will come in culture and knowledge. How did I keep the cost this low? Surprisingly (and not surprisingly at the same time), my first year on the road was the cheapest, costing only $17,966.75. That year I did a lot of collaborations with different tourism boards and companies, which helped lower the cost of my trip substantially. I worked for three months with the Belize Tourism Board, also collaborated with countries like Jordan, Norway, Italy, and a few others. These collaborations accounted for about 4 months of fully or partially sponsored travel. Obviously, had I not collaborated with them, my trip would have been substantially more expensive. I’m the first one to admit that. I actually went a bit more into detail about that first year in this post, including the places I visited and the amount spent per region. On the second year of travel I reduced the number of collaborations to only two; with the Morocco Tourism Board and Blogville Emilia-Romagna (which accounted for a month of partially sponsored travel, combined). My second year was the most expensive so far, costing me $23,308.72. But, two of the main reasons why my second year was the most expensive are the fact that I decided to settle in Milan for the year (not a cheap city to live in) and travel more of Europe, and I also did the Mongol Rally, which was an expensive adventure on its own – but one worth so much more than what I paid for it. I broke down the Mongol Rally costs in this post (in case you’re interested in doing it!). But on the other hand, one thing that helped me keep the cost down is that I traveled much slower this year, staying an average of 15 days per country, instead of the average of 9 days per country during the first year. While I loved all my adventures, I noticed that my second year was more expensive than I could normally afford, so I changed my “game plan” for the next year, plus I became more conscious of my spending by keeping track of every single dollar I spent. Year three was a completely different travel experience. I traveled most of the year with someone else, so some of the costs could be split (mainly accommodation), I didn’t do any full collaboration with tourism boards (only small partial collaborations here and there), and I based myself most of the year in Asia, especially Chiang Mai, which is a very cheap city to live in. On this last year, I did a combination of a few months of intensive travel, followed by a few months of intensive work (settled in one of two places). This helped me move forward with my goal of visiting all UN-recognized countries, while still keeping my costs down since I was traveling slower – spending an average of 20 days per country. In the end, this third year cost me $19,486.05 – which is not much more than the first year and it didn’t include a single big collaboration or sponsorship. This low cost is all thanks to Asia! These are my souvenirs. 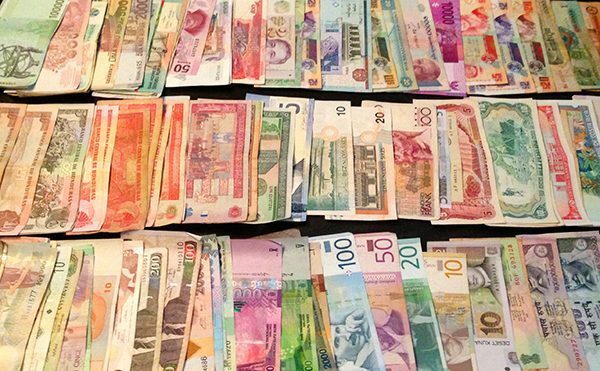 I collect money from every country I visit. I stayed in hostels, but if I was staying in one place for a longer term, I would rent an apartment or room through Airbnb. Note: I have an exclusive link that gives you $40 off on your first reservation with Airbnb. Get your credit here. I did a lot of travel hacking too to get cheaper or free flights, as well as free accommodation. I balanced time spent in the western world vs the eastern world (which is usually cheaper). I kept detailed records of my spending (especially throughout my third year) with the Trail Wallet app. It’s the best one out there and I recommend it. I couchsurfed and stayed with friends when possible. Used local transportation when possible, instead of tourist buses. I avoided tours when I knew I was capable of doing it on my own (cheaper). I traveled overnight on trains and buses to save money on accommodation. And blog-wise, I collaborated with travel companies to reduce my costs in exchange for me sharing my experience with them. I wanted to share my daily averages per country here, but the truth is that it wouldn’t make any sense to you, nor really help you. In fact, they will be misleading. For example, I have a daily average of $13.74 in Norway, but the truth is that Norway is one of the most expensive countries in the world. It usually averages $60-$80 a day, but I had the opportunity to collaborate there, so I reduced my cost. On the other hand, I have $81.59 as daily average in Turkey, which is also misleading because Turkey is quite cheap at $35-$45 per day. But, when I did the Mongol Rally, we crossed the entire country and had to pay for gas/petrol there several times, and to our disadvantage, Turkey has one of the most expensive petrol prices in the world. So, there you have it; that’s why I prefer to share an overall percentage of cost distribution for the entire trip. 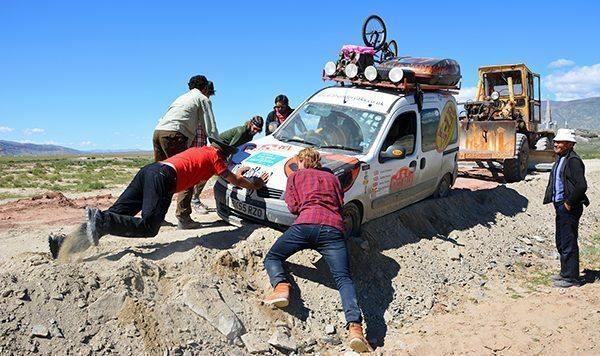 Ah, getting stuck in a dirt ditch in Mongolia… I miss the Mongol Rally! The entire journey, from day one until today! Now, I’ll end up by saying that while you can certainly travel as cheap or even cheaper than how I did it without a blog, I am grateful that I had this blog to help me go to more places (in some cases) with a smaller budget. If you’re interested in knowing how to start a travel blog, I show you how to do it here. In the next posts, I’ll do a bit of cost structure breakdown to show you some of the things I’ve learned, cost wise, about several countries I visited. Now you believe me that long-term travel is not that expensive?! Image 1, 2, and 3 from Flickr Creative Commons. Great info, Norbert! Helps show people how affordable international travel can actually be. Most impressive stat to me? Only 6 sunglasses lost. I think my total would be much higher! Haha!! Thanks, Vicky! Well, that sunglasses number is not higher because about a year and half ago I decided to stop buying them. I was literally loosing them every few months. Oh well… now I frown under the sun. And yes, international travel doesn’t have to be expensive. And the truth is, it could be done even much cheaper than how I did it. Great post Norbert. Travel certainly can be very affordable if you want it to be. I’ve always enjoyed the fact that for me, travelling the world is actually cheaper than living here in Australia. The key is just being able to earn an income from anywhere. Thanks, Dean! Oh yes, I’m pretty sure you can travel for much cheaper than for what you’ll spend living in Australia. Same for me with NYC. Yes, the key is making an income form anywhere, which is what many people don’t quite know how to tackle, but hopefully with blog posts like these we can help inspire them a bit to do it (if that’s what they want). Norbert, thanks for sharing your costs in so much detail! I’m sure lots of people will find it helpful for planning. Australia is a really expensive country, but at least the wages are quite high! I was still able to travel a bit while living there. Thanks! Definitely… That’s the beauty of having an online income, you can settle pretty much anywhere in the world. What an amazing three years! I never would have thought it would be so affordable! Thanks for the breakdown, and good luck in your continuing travels! Thanks, Kacy! Yes, it is quite affordable if you really put yourself in the mindset of traveling on a small budget. Cheers to you! Was your blog popular when you started Year 1? If not, why did the tourism boards fund you? Asar, my blog had a decent audience by the time I left, but nothing close to what I have today. The opportunity came more because I did the MatadorU Travel Writing Program (which I recommend on this blog) and through them I got in touch with the Belize Tourism Board. After they saw my work online, they were happy to invite me to their collaboration program. Thanks for this, what a helpful post! 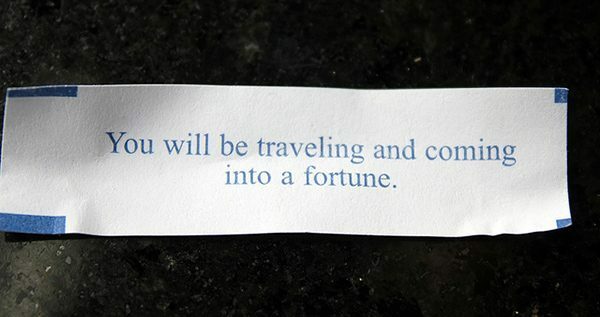 I am about to embark on a trip of my own, with some savings, just to see how long I can last. I also hope to try and make some money along the way or collaborate some as you said to keep me going longer. Great job sticking to a budget like this, you really show how cheap travel can be if done right. Thanks for sharing your experience, Norbert! Once you eliminate the living costs from home (rent, bills, car, etc. ), it’s surprisingly easy to support a life of travel with a similar amount of money. Thanks, Deia! Definitely, once those living costs are out, traveling turns out to be quite affordable. Travel blogs certainly open up a world of possibilities for world explorers, but you gotta learn how to build traffic …. something I’m still struggling with! Ian, traffic is hard to get and it takes time, but I think that more than traffic, it is important to build followers. They are more powerful than traffic itself since followers give a healthy sign of how good a blog is. Traffic can be manipulated through backlinks, social media sites like stumble upon, and such, but followers are only gained naturally. Norbert, thank you for shearing this great experience! As i manage a company in telecommunication, I am really interested to know if you had to spend a lot of money to stay in contact with your family and friends?